Background: If La Gloria Cubana feels like it’s been around forever, its likely because it has been. Originally created back in 1885, the LGC brand has withstood the test of time while under various overarching labels. As is with Romeo Y Julieta, LGC has made a consistent product and worked to reinvent their image while still keeping to much of the history that brought them to present day. The LGC RF No. 21 is no exception to that rule – released in June of this year as an exclusive for Famous Smoke Shop. But what’s the “F” stand for in RF? Fibonacci. 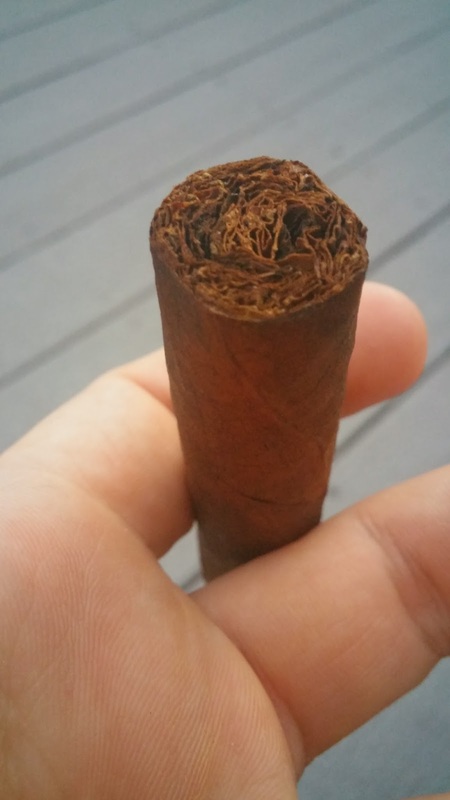 The cigar is an ode to Fibonacci – making a cigar that is equivalent to Phi (the perfect number. 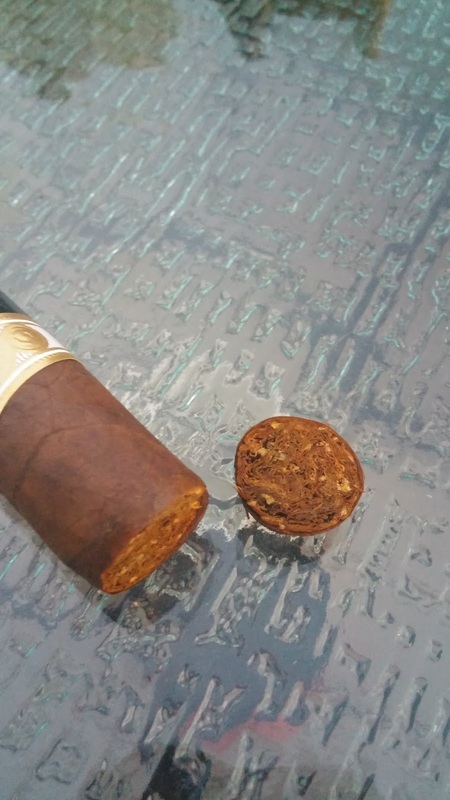 Making a cigar that, in essence, captures a perfect balance and structure to make for an incredible cigar experience. 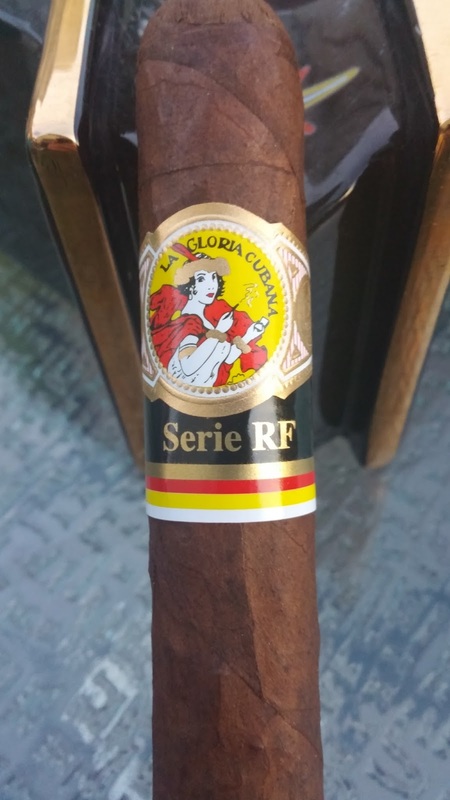 Appearance (0-20): The La Gloria Cubana has a nice rich look to the wrapper. It’s rustic to some extent, with some minor veins but nothing too overassertive and no real discolorations to note. The band follows the traditional style for LGC, but adds some additional yellow and red coloration below the Serie RF branding. It’s enough to catch your eye without being obtrusive. Overall it’s the kind of cigar I may gravitate to from a casual look standpoint, though it wouldn’t be the first one I would look at. Construction (0-20): We have already established there are no real issues in terms of veins, so there’s a plus to begin already. The stick is firm to the touch with no discernable gaps… again a plus. Now the cut - zero residue of any kind with a completely clean edge (as shown in the picture), which means huge positives. The draw was tight initially, but loosened up a bit during the smoking experience. 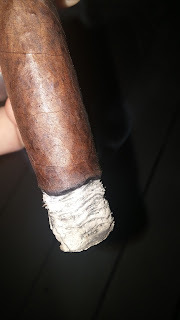 The ash held on for about an inch and a half per clip, so it was adequate though not outstanding. Strength (0-20): Listed as medium strength, I would personally see this one as closer to the medium to full range. It definitely creeps up on you. Flavor (0-20): Pepper. I thought about leaving that as the only flavor comment but it wouldn’t actually do this justice. From initial light until about 1/3 of the way in, the cigar is a concentrated pepper bomb that will awaken your senses for sure. Ever eat way too much horseradish or wasabi in one bite? It’s that kind of nasal blast that you can expect on the retrohale. Thankfully, that’s not the only flavor here, but simply the predominant one. 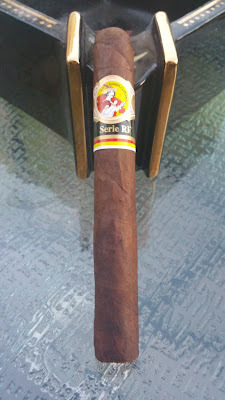 As the first third begins to conclude, the pepper that was so aggressive drops back and this becomes a smooth, creamy, and sweet smoke. 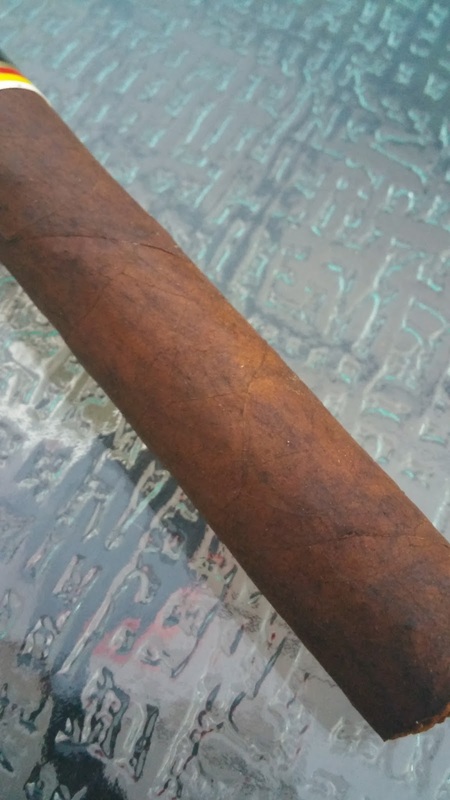 There is a slight bitterness with a coffee flavor and woodsy hints that will pop up from time to time. This continues through the entire remainder of the cigar, but the pepper returns again in the final third to add a sense of coherence and completion. Value (0-20): As a 6x50 with good flavor, construction, etc… the $7.25 is spot on the money, with some real upside. Additional Notes: Provided by the folks at Famous Smoke. Paired with water.